Île Jésus was shaped by melting glaciers and sculpted by the two rivers that surround it. They have not only influenced the land, but also the history and the development of the region. The Des Prairies River was named after a man named Des Prairies. One day, he was sailing on the river. Thinking he was on the St. Lawrence, he got lost. 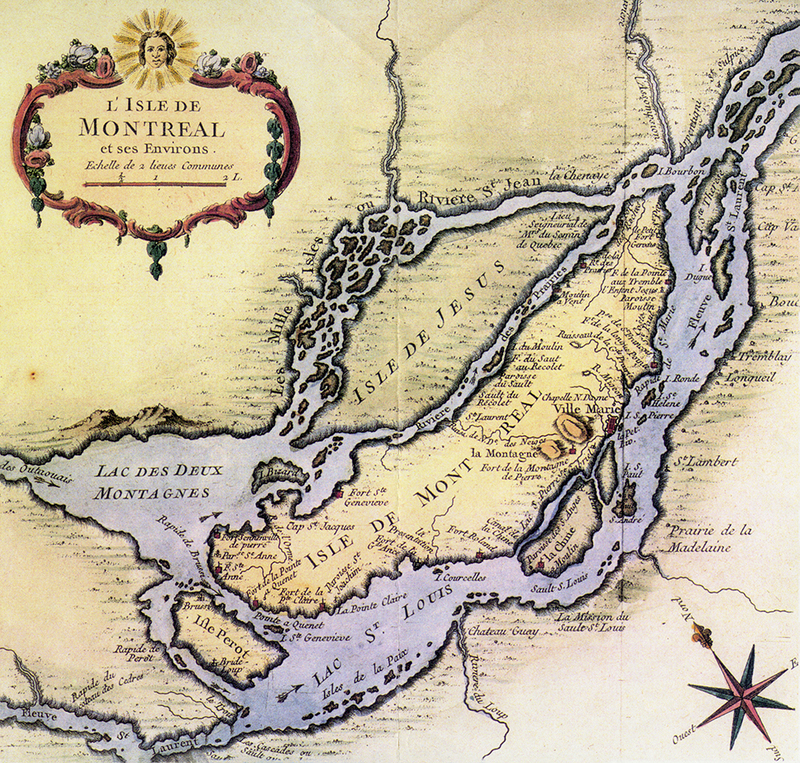 His mistake led people to name the river that separates the Island of Montreal from Île Jésus after him. During the period of colonization, the river of capricious currents was difficult to navigate. A number of rapids, such as the Hollandais and Sault-au-Récollet, prevented large boats from getting through. They stopped at the commercial ports in Quebec City and Montreal. However, the residents living along the shores travelled the river daily aboard rowboats and longboats. Despite its natural obstacles, the river was still the main transportation route between the St. Lawrence and Ottawa rivers. The Mille Îles River has had many names. Dubbed Makigôtekw (Raft River) by the Abenaki, it was then called the Saint-Jean River, the Jésus River and the Branch of the River Ottawa. It became the Mille Îles [Thousand Islands] River because of its many islands. Although it was easier to navigate than the Des Prairies, also known in English as the Back River, it still had rapids three leagues long, or nearly five kilometres by today’s measurements. The history, identity and land of Île Jésus were forged by these rivers, and they are the very essence of our region.